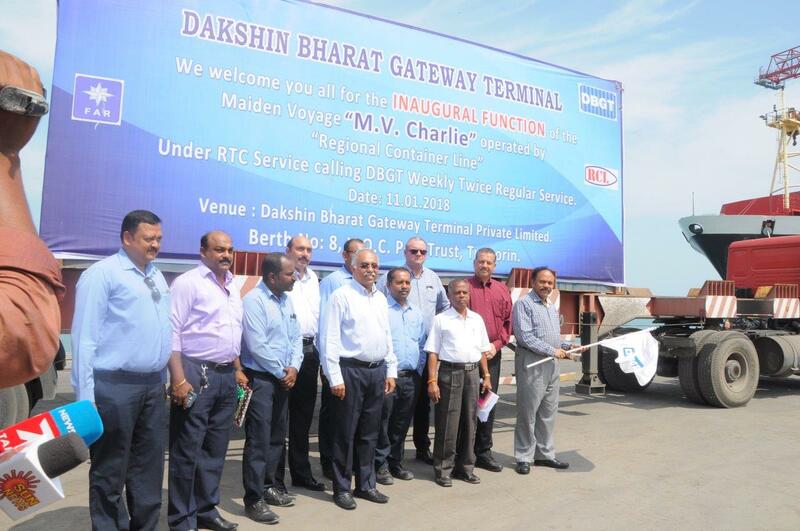 Dakshin Bharat Gateway Terminal (DBGT) in VOC Port (Tuticorin) on 11 January 2018 celebrated the maiden call of “M V Charlie” weekly twice common feeder service between Colombo and Tuticorin being operated by Regional Container Lines (RCL). 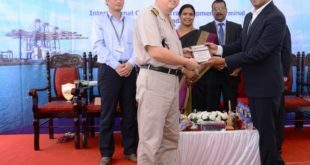 In an impressive inaugural function at DBGT, Mr S Natarajan Deputy Chairman, VOC Port Trust, Chief Guest of the event, flagged off the service in the presence of the VOC Port Traffic Manager Mr U Rajendran, Deputy Conservator Capt. Babathosh Chand, DBGT CEO Mr Eric Lavenu, COO Mr E K Peter & Chakiat Shipping Services P. Ltd (Agent for Regional Container Lines) Director Mr Shankar Menon, Vice President Mr Sameer, Far Shipping Agency India P.Ltd General Manager Mr Samuel Benettand all Main Line Operator’s representatives from Tuticorin Shipping Trade. The new service named RTC Service (RCL Tuticorin Colombo Service) brought total volume of 1165 TEUs on its maiden voyage of M V Charlie (565 TEUs import and 600 TEUs export). 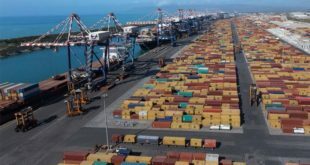 The service planned to handle volume of 2000 TEUs (approx. inward 1000 TEUs & outward 1000 TEUs)in each voyage and 2 voyages per week to DBGT (Tuticorin Port). The same will add the total volume to DBGT & VOC Port Trust 2.16 lakhs TEUs per annum. 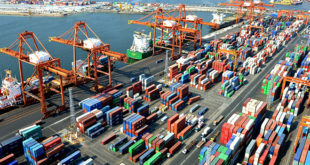 Regional Container Lines & Far Shipping jointly operating the service. The deployed vessel M.V.Charlieis 184.1 m longer and having capacity to carry 1730 teus of 16661 gross tons. This vessel will berth in DBGT every Sunday & Wednesday (Weekly Twice). 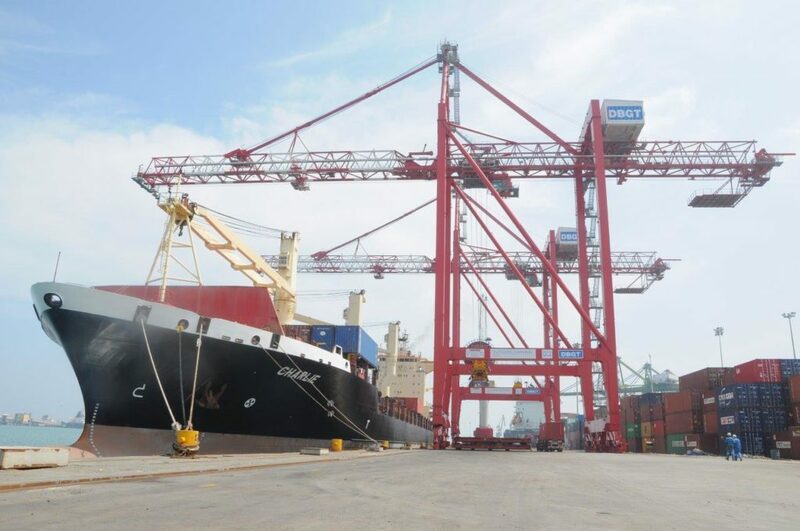 Dakshin Bharat Gateway Terminal (DBGT) operating 8th Berth at VOC Port Trust since 2014 achieves new milestone in the volume handling by crossing 4 lakhs (.4 millions) TEUs with the moves of M.V.Charlieat berth under operations. 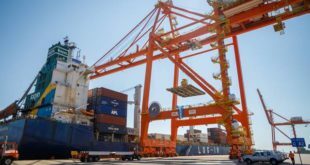 Terminal started operations with 2 mobile harbor cranes and 4 reach stackers, has been performing continuously better meeting the best international service standards. DBGT has handled 622 vessels/ 4,00,139 TEUs up to date. Terminal now deployed 2 x RMQC cranes in Dec 2017 with twin lift spreaders and the 3rd RMQC will be added to the operational in Feb 2018. Terminal also have the backup yard designed for stacking 8200 teus with volume handling of 7.5 lakhs (.75 millions) teus per annum. In 3rd week of Jan 2018, 3 nos of eRTGs for yard operations with new constructed yard will be added for container handlings. Balance 6 nos of eRTGs planned also will be ready in last week of Jan 2018. DBGT also installs the user friendly latest terminal operating system (TOS) NAVIS N4 in Feb 2018.
to excel the Tuticorin Port Container Volumes. Addressing the gathering, Mr Eric Lavenu, CEO, DBGT, reassured the Company’s commitment to bring in the best technology in the near future and make the (Container) Terminal, a world class one and emphasised his commitment to bring back the volume diverted from Tuticorin in the past. 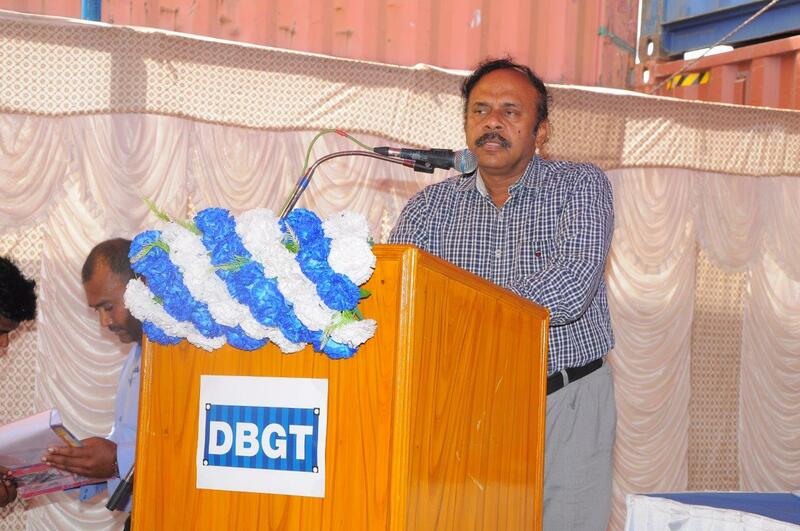 Mr Shankar Menon, Director of Chakiat Shipping Services P. Ltd., congratulated the fast development of VOC Port Trust infrastructures and the world-class quality service by DBGT to the Tuticorin Trade. Mr Sameer representing RCL stated that RCL plans to start new service from Tuticorin connecting Far East & China Ports based on the trade support to this new service. The occasion was also availed to felicitate the representatives of RCL, Far shipping & The Master of vessels with the mementos.